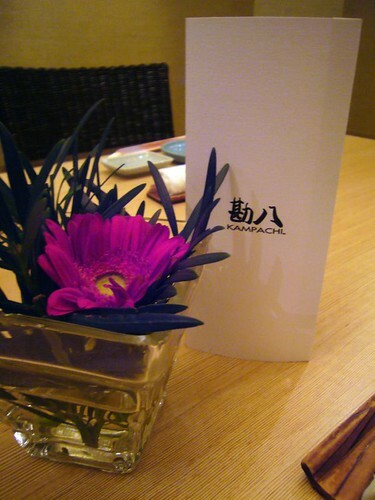 I was utterly delighted when Food Street invited me to do lunch at Kampachi. 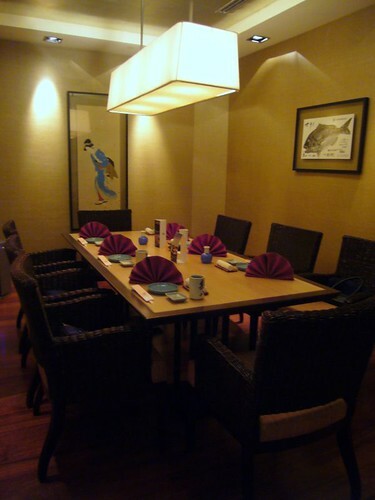 As the second oldest Japanese restaurant in Malaysia, Kampachi has never failed to keep up with their reputation, especially the legendary Sunday brunch buffet that strike a perfect balance between value and quality. 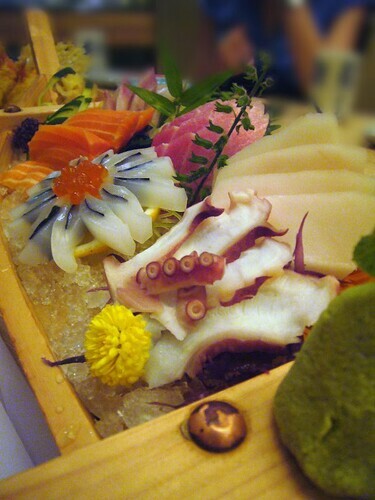 First greeted our eyes were the prettily decorated sashimi boat. 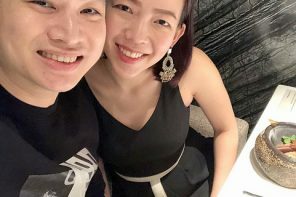 A special order of sashimi included tuna belly-toro (2 for RM100), amber jack-kampachi (2 for RM 44), salmon-shake (2 for RM20), cuttlefish-ika (2 for RM12) and butter fish-abura bozu (2 for RM30) were served on a bed of crushed ice. 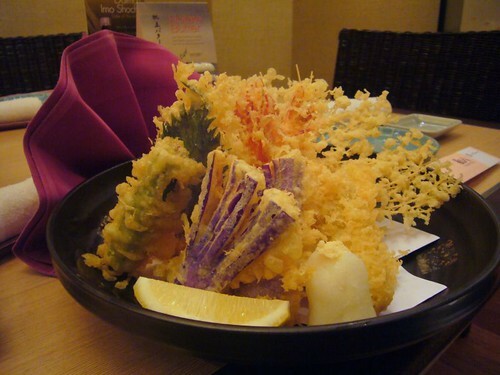 Thick slabs of underwater goodies of wonderful texture together with freshly grated wasabi are how you spell HEAVEN exactly. 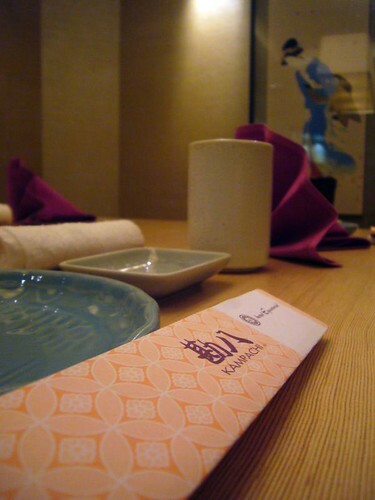 Kampachi is definitely the place for sashimi of the freshest and most premium sashimi. 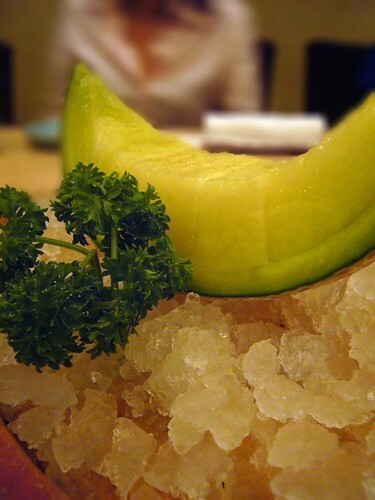 Fresh wasabi is best enjoyed after it is grated. However only a small amount should be grated each time should be grated each time because it is best to be consumed within 15 to 20 minutes as the flavor will disappear after being exposed to air. 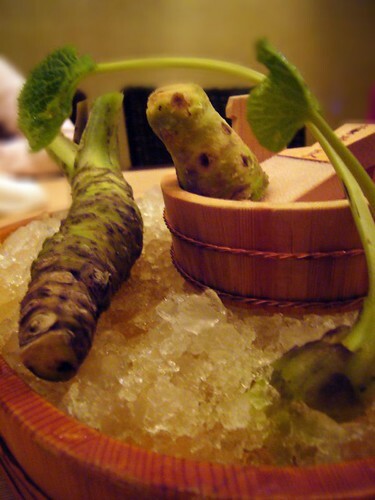 Notoriously hard to grow, wasabi plant is rare in Japanese eatery around which is why a small root like a quarter of this will set u back at more than RM30. The fresh wasabi has less kick than the usual paste that we had, but the ethereal fire is very long lasting and gives a very pleasant, lingering taste on the palate. The assorted tempuras are perfectly done a la minute – feather light and crispy batter while the inside is juicy and tenderly soft. 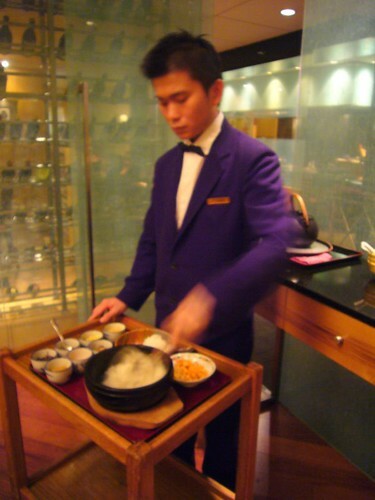 The hokkaido oyster cooked teppanyaki style were delicious, huge and juicy, not gritty and not too milky. 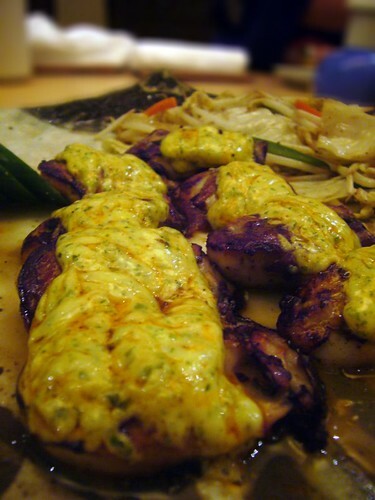 Chef’s special concoction of light green colored mayonnaise and dark sauce has added a whole new dimension to the dish as well. 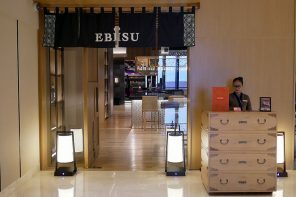 A special creation of Chef Seiji Sudo with 9 years of experience as a sushi chef in Tokyo, the soft shell crab maki has lured us over again and again. I was hooked on the crunchy exterior layer of fish roe, before reaching into the soft sushi rice and the airy yet crispy soft shell crab. As simple as it looks, the Japanese fried rice has the best of world – light and fluffy rice paired with succulent sweet seafood. 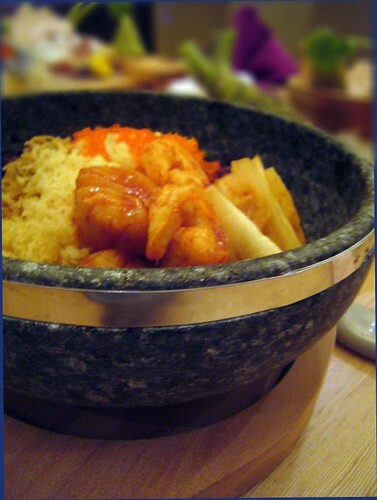 The serving is pretty generous where all the rice is well hidden beneath the layers of scallops and prawns. Cooked on a hot stone, which mean very minimal usage of oil, I can’t help but to dig in knowing that it will not further burden my bulging stomach. 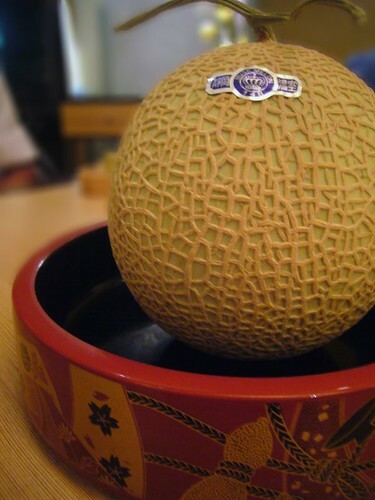 The netted japanese melon has become a Japanese favorite for giving as a gift to friends and bosses to show their gratitude. If you are wondering, why does the melon costs a whopping usd 100? 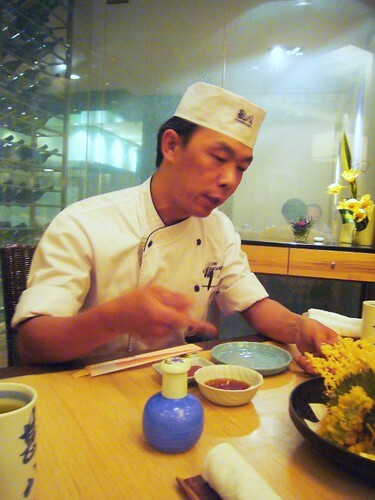 According to chef how, it is actually nurtured with extra care by special growers in Shizuoka and Hokkaido. Is such exorbitant sums melon any different from the usual melon? It is astonishingly delicious with brix sweetness of over 16%. It is so juicy that when you bite into one, the juice will overflow and spills down that makes you thinking that another RM10 has just dripped down. 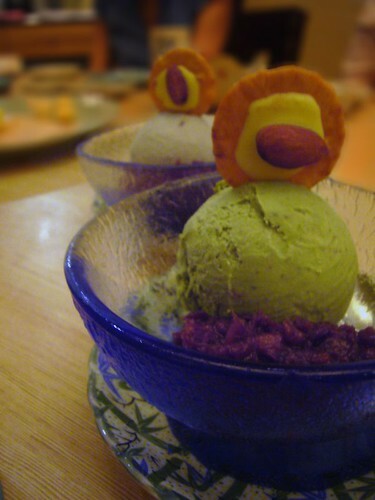 For a sweet ending, we had the home made matcha and atsuki ice cream that tasted so genuine. 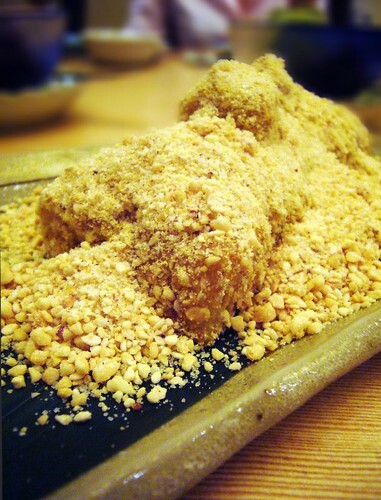 The abekawa mochi is a must order item over here, roasted Japanese peanut is sprinkled in abundance onto the sticky warm mochi, making it a great combination that is a pleasure to the eyes and mouth. 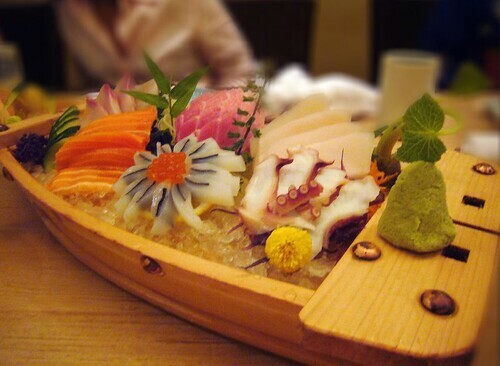 take me on the sashimi boat!!! haha! oh, the fresh wasabi as well…. 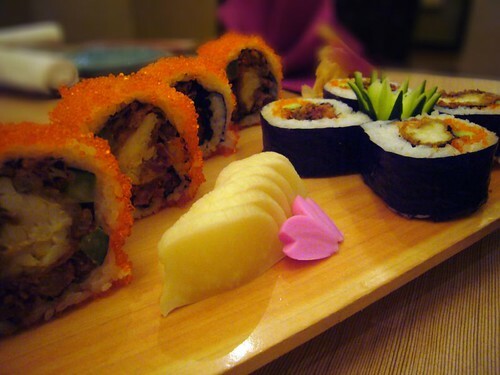 So captivating, I will visit Kampachi when I next visit KL. Eh…. the Edamame … looks really hairy huh. 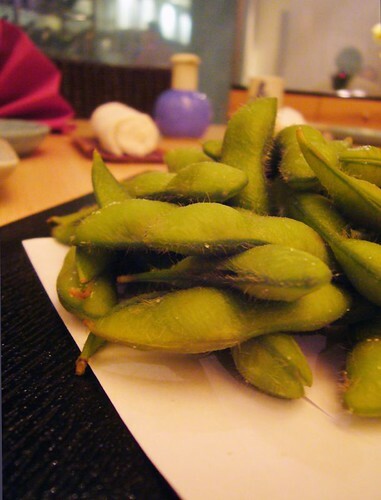 Tell u a story, once… I tricked a friend to eat the edamame whole .. without peeling of the shell. And she did … ! I know .. my bad. But it was really funny whenever i thought about it. The mochi looks good! 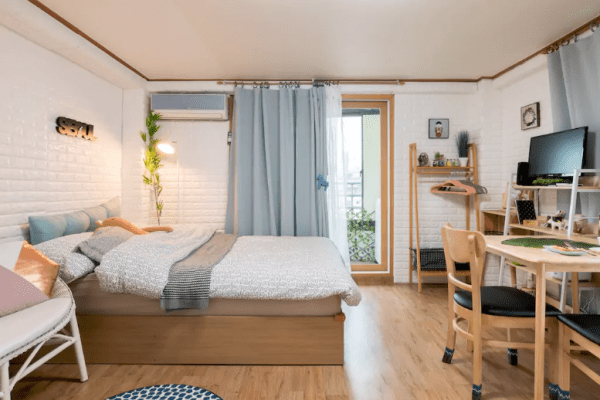 and the atmosphere of the place looks cosy. 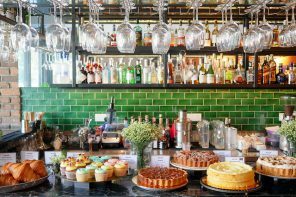 their sunday buffet is a deifnately must go. so worhthid and quality.i wonder if chef liew is still working there? You mean the fresh wasabi is in the menu too? aiyoh..i also want this kind of extravagant reviews !!! I want to try the oysters!! So nice. I only been to Kampachi once for the weekend buffet years ago. Now.. isn’t it awesome to be a blogger in malaysia..!! lucky you ..!